Here’s the info card for the month. The back has a geometric design while the front lists out all of the items in the box, plus descriptions and values. The card this bracelet comes with explains a ton about the “Cosmic Womb”, which apparently births all Creation. That gold-plated charm that looks like a Venn diagram? That’s apparently a geometric representation of that womb—”a symbol of the divine feminine and the divine masculine coming together.” The knot in the thread lets the beaded ends of the bracelet to adjust out or in. At its longest, the bracelet is about 10.5″ inches around. This herbal supplement is made with clary sage, rose, yarrow, and lavender, which is supposed to help balance your mood. There’s a dropper attached to the bottle lid, so you can easily drip it onto your tongue or into water or tea. I’m a little skeptical to try it for myself, to be honest, though I’m encouraged that it’s made with natural ingredients. If you’ve tried this product before, let me know what your experience has been in the comments! So, I’ve heard a lot of mixed reviews of yoni steams. If you don’t know, a yoni steam is like a facial steam, where you brew up a “tea” of sorts that’s said to have beneficial effects for your skin, except you don’t point it at your face—you point it at your, well, your nether regions (a.k.a. your “yoni”). While some folks say this practice can aid in better menstrual health and promoting mindfulness/appreciation of your feminine energy, I’ve heard lots of physicians warn that steams like this can actually mess with the body’s pH and natural “maintenance”, if you will. My general vibe is, if it’s not broken, don’t fix it, so I’m not going to give this steam a try. (My body seems pretty healthy at the moment, and if it wasn’t, personally, my move would be to see out the advice of my awesome gynecologist first.) What I can tell you is that this blend includes marshmallow root, calendula, mugwort, lavender, lemon balm, oregano, yarrow, holy basil krishna, red clover, motherwort, rosemary, black cohosh, and dong quai. It does smell refreshing and peaceful—maybe I’ll set some out in a sachet as kind of a potpourri! I couldn’t find this specific design on the Cosmic Collage site, but the listed value is $25.00. The bag is small—it’s about 4″ x 6″, so it’s small enough to fit into a purse or even a coat pocket. The bag is made from woven, soft fabric (which seems like cotton) with a print on the front side and a black zipper up top. You can really use it for anything, but the card suggests using it for things like tampons, pads, your menstrual cup, or other “medicine” items like these. Oh wow, these snacks were so addictive! They have the texture of a corn puff with a powerful vinegar flavor that’s equally pungent and delicious. I munched through this bag so quickly that I’ve been Googling where I can buy them locally! I think I’ve found a new summer snack! This little potion is for external use. It’s made with camphor, clary sage, and wintergreen, which are soothing and smell awesome. I haven’t gotten to try this during my cycle yet, but I’m eager to! Next up is this 3″ long chunk of amethyst crystals, which is supposed to inspire balance and soothing. I love the many points and of course, the pale purple hue. I’ve been getting digital “items” in my recent boxes, but this one was the first that was labeled a “bonus” item. I like that—it always feels odd to me when a digital item is supposed to go towards the value of the box itself (especially because, as in this case, you often have to join a mailing list or give your contact information in order to get the bonus item). This download includes some information related to the theme of menstrual cycles and honoring your womb. The Verdict: The thing I noticed about this box was how many “medicines” it includes—the topical rub, the steam, the edible calming elixir… I know aromatherapy and topical essential oil blends, which are common in this box, are also their own form of medicine, but something about these items (maybe because the calming product is ingestible or because I’ve heard such conflicting information about the steam) feels a little too… invasive might be the right word? The topical rub I’m the most comfortable with, but the other items, I’m personally a little hesitant about using. I guess the impact for me is that I don’t get the full value of the box by shying away from those items. I’m curious to hear everyone’s take, though! Part of my skepticism is probably because this box is specifically dealing with women’s health, which I take really seriously. While personally, I don’t think western medicine has all of the answers to women’s health (nor other health categories), I do worry whether all of the holistic “treatments” hitting the market are safe, have been thoroughly tested, and live up to the claims they suggest. Whew! Didn’t know we’d get so deep in this review! Keep in mind this is all one reviewer’s opinion. What do you think? I love calm a mama drops, including this one! The sleep drops are my favorite, but these really do make me feel more centered when I’m anxious or hormonal. There’s also a great blog post from the woman who runs calm a mama on the goddess provisions blog about hormonal mood changes. I was leery of this womb box because not all women have wombs, but the company was super responsive to those concerns on Instagram. They said everyone who identifies as feminine has womb energy (I can’t remember the word they used) and can benefit from the box. I mean… That’s not really true of the yoni steam but I’m not about to use that anyway. I’ve used the belly rub both to ease cramps (remarkably effective!) and on my lower back which goes out periodically from an old injury. It’s really nice. Heads up to people with metal sensitivities, the bracelet charm made me itchy! You should check out what Dr. Jen Gunter has to say about steams for down there (and other questionable women’s health practices/supplements/etc.). She has a blog and she’s also on Twitter. The whole “womb” think kind of gets lost on me since I had a hysterectomy, anyway. It seems like maybe this box isn’t a good fit for you? 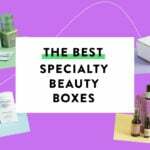 Herbal “remedies” aren’t for everyone and it feels like it’s a major focus of this box. I haven’t tried those specific drops but I have tried varying blends of several of the ingredients- never with an adverse reaction. Flower essences and essential oils can be very beneficial to your overall state of being. If you are worried about ingesting them maybe you could try a aromatherapy inhaler instead? I haven’t used that particular blend, but I positively live for Calm-a-mama drops! I use several of the blends. I have numerous food allergies and take multiple medications and I’ve never had any sort of adverse reaction. Hi Anna! I haven’t used Calm-a-Mama Calming drops but I have used the Happy drops after receiving them in a Goddess Provisions mystery box. I haven’t had any adverse reactions and while it could certainly be a placebo effect, it does feel like I get a little bounce in my step from them (just in mood – there’s no caffeine). I’ve actually bought it again since getting it in the box. Hope that helps! Thanks for the great reviews!